Posted on June 9, 2018 Posted in Brownies	. There is not much to say on this little sweat treat. I decided I wanted to make a slice that had layers of amazing tastes and textures, really taking the taste buds on a journey. 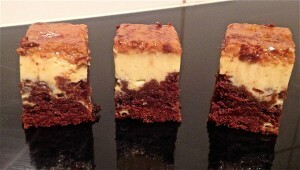 How I planned to do this was combining various scrumptious desserts into one delicious multi treat. This recipe is executed by a rich chocolate brownie base, a light and fluffy vanilla flan centre and smooth melt in-your-mouth caramel with a crisp brulee top. If I haven’t got your attending by now nothing will! 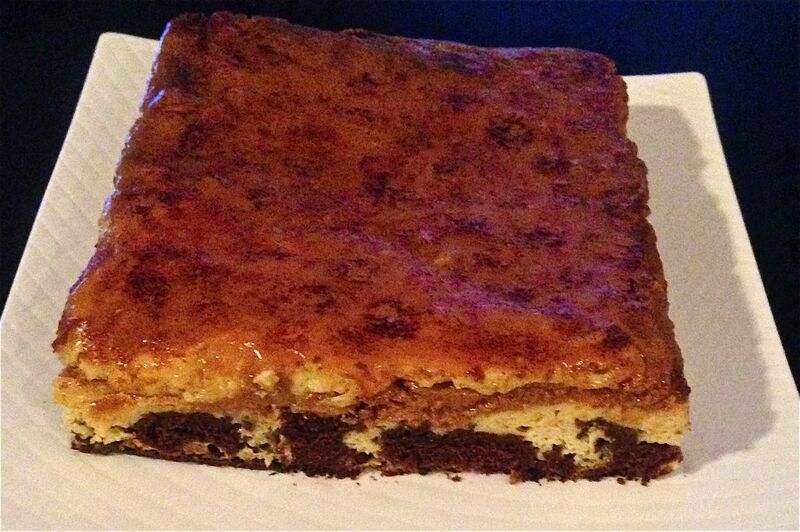 Outcome = exactly what I hoped, Caramel, Chocolate Vanilla Flan Brulee Brownie bliss. 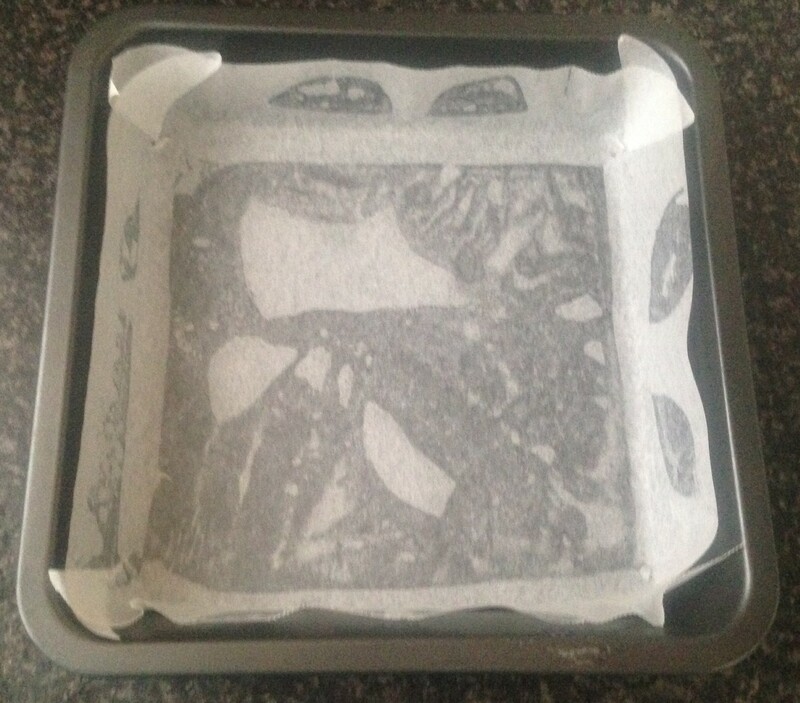 Preheat the oven to 190c and line a 21cm square cake tin with baking paper. Spread the caramel evenly in the bottom of the cake tin and place in the freezer for at least 15 minutes. Combine the chocolate and butter into a microwave safe container and microwave on medium for 1 minute. Stir. 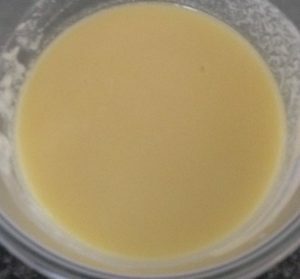 Microwave and stir every 30 seconds until the mix is silky and smooth. 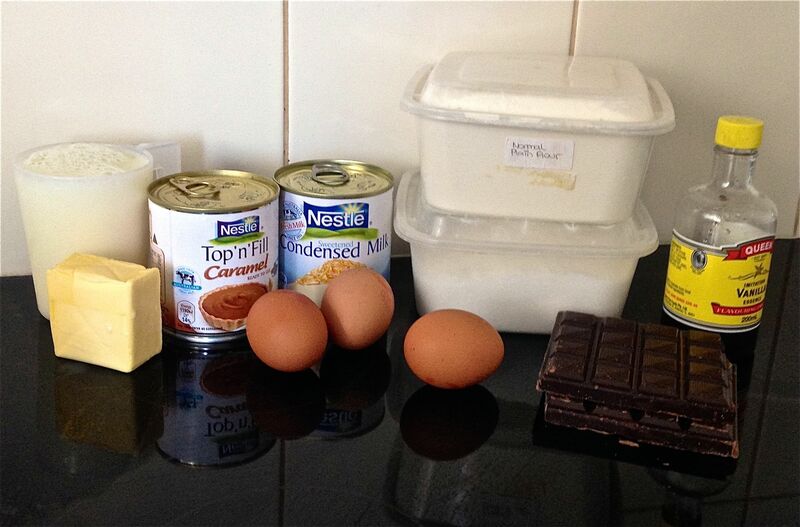 Add the sugar, eggs and flour to the chocolate mix and whisk thoroughly with a hand whisk until well combined. Using a spoon carefully place the mix on top the caramel without moving it. Spread to ensure even layering. In a food processor add in the condensed milk, milk, eggs and vanilla essence. Cover and blend ingredients until the mix is thoroughly combined together. Spoon milk mix over the brownie layer. Place the tin in the oven for 50 minutes or until a skewer inserted in the middle comes out clean. Let the brownie cool completely in the tin. 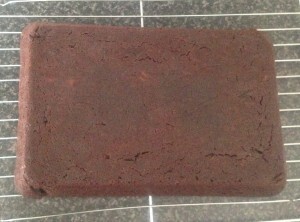 Once the brownie has cooled flip the tin on a plate, removing the tin and baking paper. Sprinkle the extra sugar on the top of the caramel layer. Using a blow torch scorch the top of the slice until browned and bubbling. Tags: brownie, brulee, caramel, Caramel and Chocolate Flan Brulee Brownie, chocolate, flan	. Posted on January 22, 2017 Posted in Brownies	. This recipe is interesting in the fact that I actually make 4 versions of this brownie each with different chocolates and different vegetable combos. I really thought that the dark chocolate and pumpkin experimental recipe would be hands down not only the winner but blog-worthy. Surprisingly it was the white chocolate and pumpkin brownie that was the star. This brownie is filled with a swirl of delicate white chocolate standard brownie with a pumpkin pie spiced swirly layer. 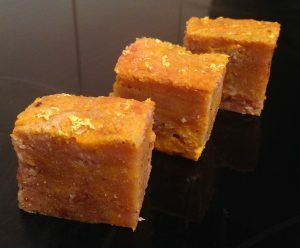 Yes you will need to be a pumpkin fan as this recipe does hero the pumpkin. Eat this brownie warm with a scoop of vanilla ice-cream and you will not be disappointed with the amazing results you create. 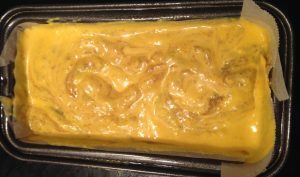 Pre-heat the oven to 160c degrees and line a slice tin with baking paper. Deskin and dice the pumpkin and place in the microwave for 10 minutes or until the pieces and soft to touch. 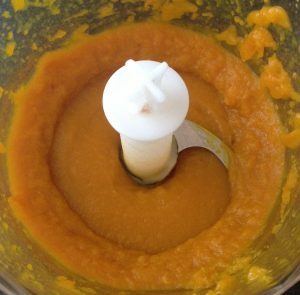 Transfer pumpkin into a food process and blitz until the pumpkin is well pureed. Place the butter and chocolate into a saucepan on a medium heat and stir until the mix is smooth and silky. Transfer chocolate into a bowl and add the sugar, whisk until combine. Add the eggs and using a hand whisk beat until well combined. Add the flour and spices and stir until well combined. In a separate bowl place the puree and the cream cheese. Stir until well combined. Spoon some chocolate mix into the tin, alternate with the puree until all the mix is used up. Use a spoon to swirl the mixes until almost combine and bake in the oven for 40 minutes or until the skewer inserted in the center comes out clean. Allow brownie to cool completely in the tin for 1 hour then place in the fridge for 1 hour. Remove from the fridge, cut into slices and serve. 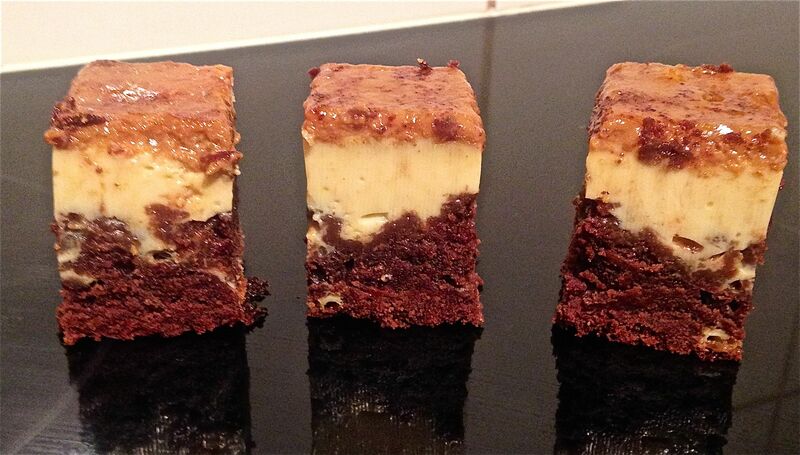 Tags: brownie, Pumpkin, Pumpkin Pie White Chocolate Brownies recipe, white chocolate	. Posted on March 3, 2014 Posted in Brownies	. Beetroot…this vegetable is one of the sweetest veggies around, making it perfect to incorporate into baking. I have tried many beetroot recipes from cakes to tarts and have never been happy with the end result. I think this beetroot recipe is my 5th attempt at baking with the ingredient and finally I’m onto a winner! 500g beetroot (almost a whole 825g can that has been drained). 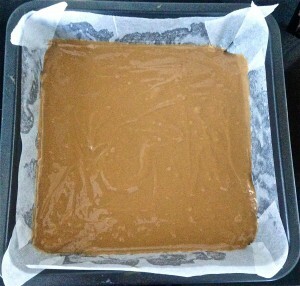 Preheat the oven to 180c and place baking paper in a 25 cm square cake tin. Process beetroot in a food processor until finely chopped, following do the same with the walnuts. Place the beetroot, sugar, butter and chocolate in a saucepan over a low heat until all ingredients are melted and the mix is smooth. 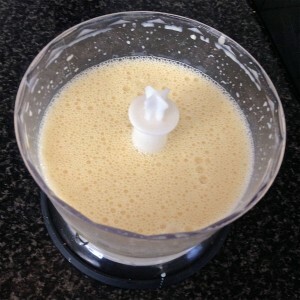 Place mix in a bowl and whisk in the eggs with a hand held whisk. 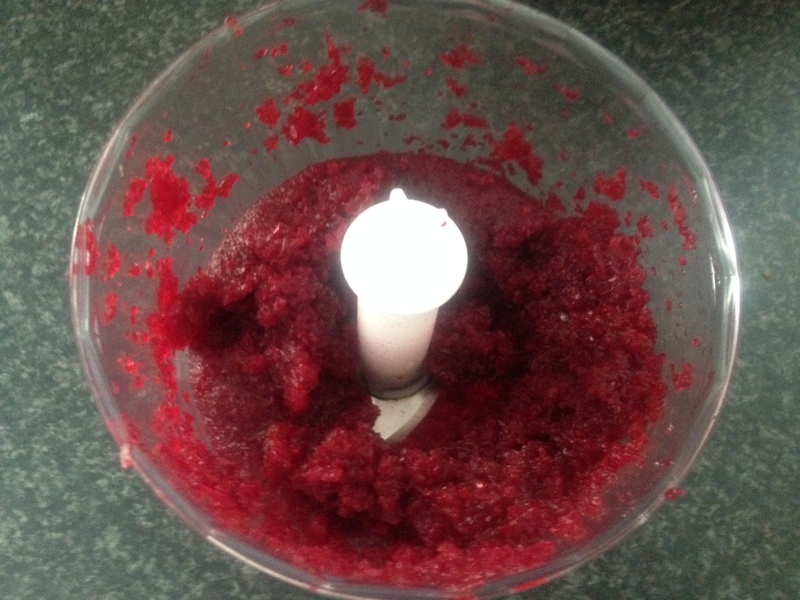 Combine all the dry ingredients in a bowl and sift over the beetroot mix, whisk with a hand held whisk to combine. Pour into the cake tin and bake for 45 mins or until a skewer inserted in the middle comes out clean. 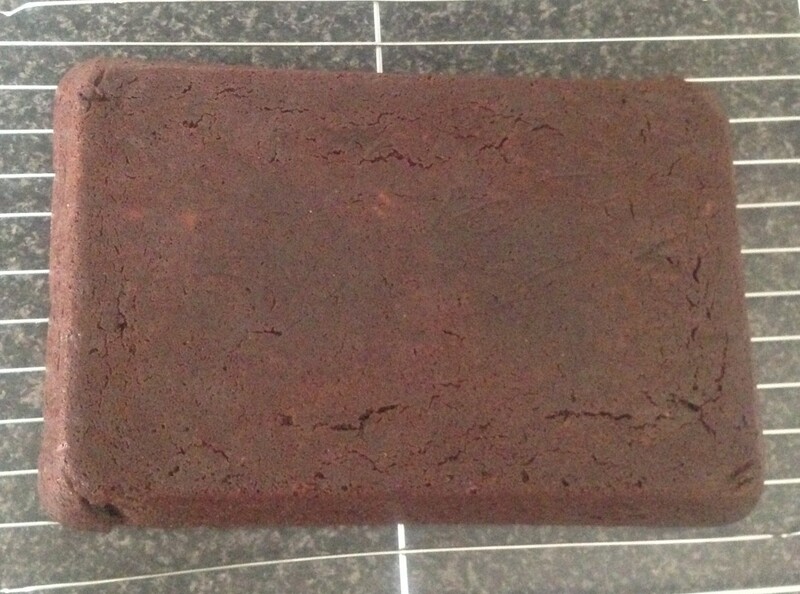 Let the brownie cool in the tin then place in the fridge for 30mins (this will ensure it is set), cut. Remember this is a dense brownie so it will look a little under cooked and not set. When you take it out of the fridge it will have the most amazing texture. It will melt in your mouth but will not be gooey. I’m not really a fan of walnuts, however added some in for texture purposes. It makes no difference to the taste to go without them. This brownie tastes like a rich chocolate brownie, however has a little zing from the beetroot as an after taste. I had people who don’t like beetroot telling me they loved this and someone who doesn’t like chocolate cake telling me they enjoyed this. 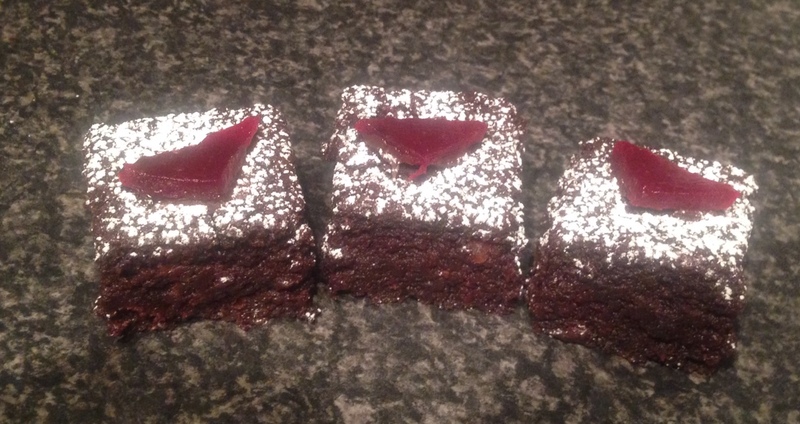 Tags: beetroot, Beetroot and Chocolate Brownies, Beetroot Chocolate Brownies, brownie, chocolate, dark chocolate	. Posted on January 1, 2014 Posted in Brownies	. 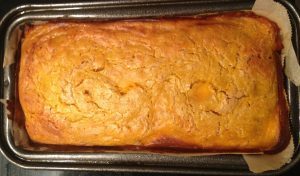 This recipe spiked my interest as I don’t really cook a lot with sweet potato. Standard potato and pumpkin yes, but this veggie not so much. In addition to sweet potato, the combo in this recipe of dark chocolate seemed like an interesting fusion of flavours. 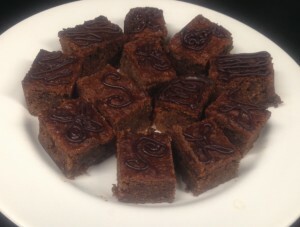 The outcome of these brownies was quite surprising. Though a whole cup of mashed potato is used in this recipe the favour of chocolate and hazelnut is so strong that you don’t even realise that this ingredient is present. This actually is not a bad thing as chocolate and hazelnut as we know are a match made in heaven. 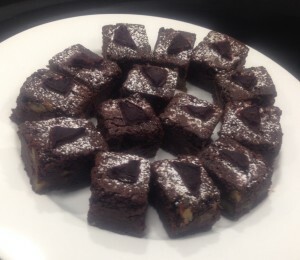 The potato makes the brownie extremely dense and moist, while also cutting out the large quantity of butter, chocolate and sugar that makes a normal choc brownie. This then makes the recipe a much more healthy version. There is only a small quantity of flour in this recipe therefore I actually used gluten free plain flour to make the recipe gluten free (the baking powder is also GF). This recipe is very simple, quick and very tasty. 100g raw hazelnuts chopped finely. Preheat your oven to 180c and line a square baking tray with baking paper. 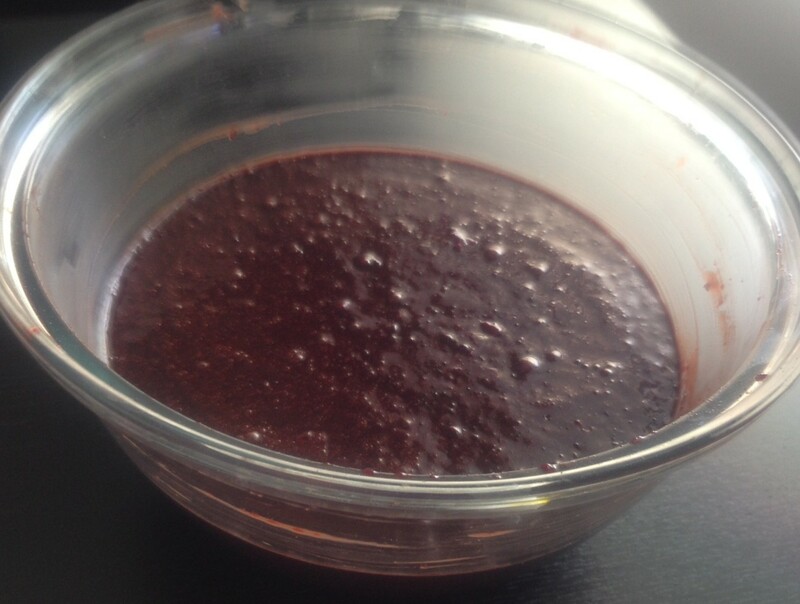 Place the butter and 1 cup of the chocolate into a microwave safe bowl and microwave on medium until melted. Stir with a metal spoon until the ingredients have melted. In another bowl mix the potato and sugar unit combined. Following add the chocolate mix, eggs and vanilla. Beat until smooth and thick. Pour into the tin and bake for 30 minutes or until firm to touch. Cool in tin, cut and serve. 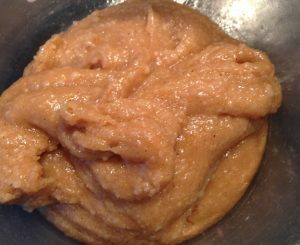 You can use hazelnut meal instead of chopped hazelnuts for a more smoother texture. In addition, if you don’t want any ‘crunch’ at all melt all the chocolate not just one cup at the beginning. Tags: chocolate, gluten free, hazelnut, healthy, healthy food guide, sweet potato	.